of our intensive day courses. Lusa Language School is located in Cais do Sodré, in the heart of downtown Lisbon. The area is close to the river and easy to reach from all parts of the city. A well-connected underground and train station can be reached by foot in 5 minutes. This is a different and special language! Learning Portuguese is the key to unlock a unique world shared by over 220 Million people worldwide, in 10 different regions such as Portugal, Brazil, Mozambique and Angola. But how can Portuguese language improve your life? Taking a few Portuguese lesson will make you stand out as it is one of the languages of the future! Portuguese is spoken in Europe, Africa and America so, it doesn’t matter where you’re from or where you’re living: studying Portuguese can open doors for you in any part of the world. You won’t just learn Portuguese in Lisbon, you’ll learn how to act like a native! There’s nothing like understanding a work of art in its native language. Study Portuguese will lead you to understand some of the world’s most important works of literature, music, and film. Learning Portuguese might not be the easiest thing in the world but what’s the fun in easy? Studying Portuguese can be just the intellectual challenge you need! Portuguese is an accessible language but is a great personal goal to aim for. Keep those brain cells firing! Learn Portuguese in Portugal is the perfect challenge for your brain as you’ll be listening to the language daily and get used to the slang and sayings. Choose your course length, start date and course type! we have a certified programme adapted to your needs. Our Portuguese lessons in Lisbon is taught as naturally as possible. Role-play and conversational classes and courses are an important aspect of our methodology. Our students live an immersive experience which we believe is the most effective way. A thorough and immersive course on Portuguese and an effective method of learning the language. Ideal for students looking for a lighter study of Portuguese to complement their schedule while studying or working in Lisbon. Private classes are aimed at individuals with specific learning goals or who require or want a more intense tutoring service. (pre-intermediate) or a C2 (proficient) level. the intensive course and additional hours of private classes. Online classes are aimed at those who want to learn Portuguese but live outside Lisbon or have an inflexible work or study schedule. the pronunciation is one of the most crucial steps when you’re learning Portuguese. The conversational classes are suitable for students of all levels higher than absolute beginners to add to their Portuguese language studies. The summer course combines the experience of learning Portuguese and the opportunity to get to know the most iconic places in Lisbon. Know what our students have to say about us. 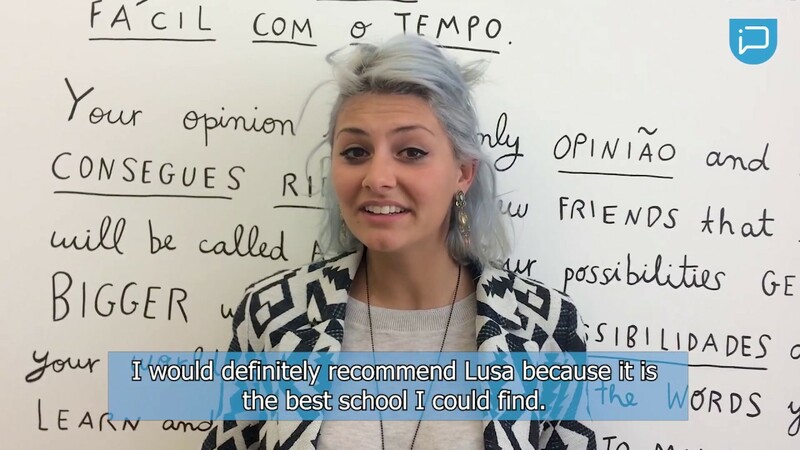 At Lusa Language School, we make learning Portuguese fun, not a chore. Our students will learn language-hacking tools to speak Portuguese from their first day. Regular events, dinners and parties. Meet new friends at our school. Our aim is to empower our students to learn Portuguese within a remarkable learning experience in Lisbon. 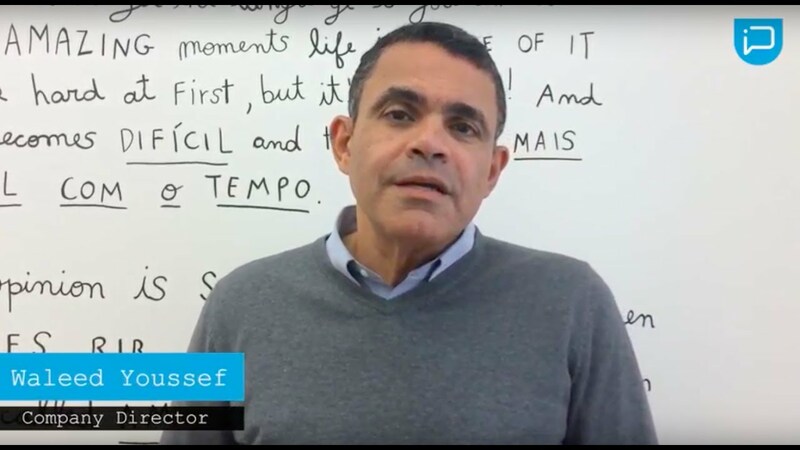 We want our students to use the Portuguese language, not just study it. The main aim of our Portuguese courses is to empower students with the enthusiasm to speak and interact. We want our students to have the best possible experience of language-learning and of Portugal. We are committed to satisfying our students through ongoing review processes and professionalism. We want our students to have fun during their time studying with us and with other students. We promote a friendly and open atmosphere for learning, as well as cross-culture exchange. Lusa Language School is committed to delivering high-quality and effective Portuguese language lessons. Our teachers and staff are highly-trained and offer a breadth of both academic and practical experience. Learning a language is a social exercise and we encourage collaboration between teachers and students, and on a peer-to-peer level. We hire only native Portuguese teachers and ensure that class sized are restricted to guarantee students have personal attention. 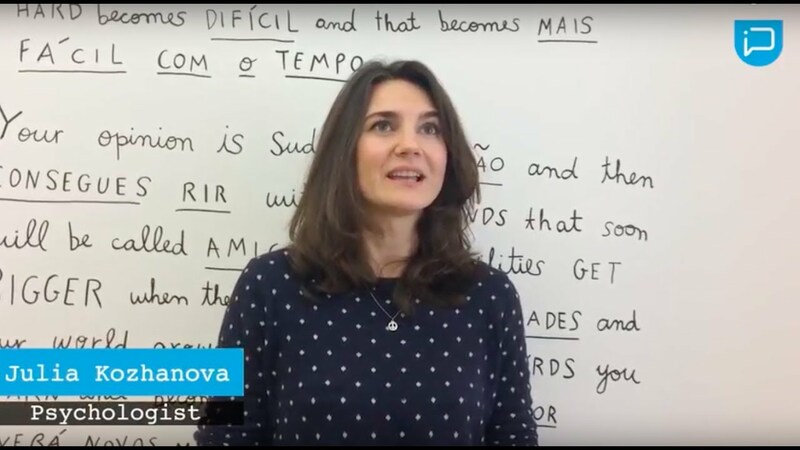 Our Portuguese lessons are always planned, but our teachers and materials are flexible to meet the needs of a wide range of students with different language-learning needs.